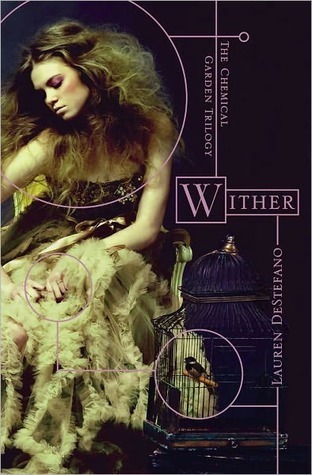 Wither | What YA Reading? Thanks to modern science, every newborn has become a ticking genetic time bomb–males only live to age twenty-five, and females only live to age twenty. In this bleak landscape, young girls are kidnapped and forced into polygamous marriages to keep the population from dying out. When sixteen-year-old Rhine Ellery is taken by the Gatherers to become a bride, she enters a world of wealth and privilege. Despite her husband Linden’s genuine love for her, and tenuous trust among her sister wives, Rhine has one purpose: to escape–to find her twin brother and go home. But Rhine has more to contend with than losing her freedom. Linden’s eccentric father is bent on finding an antidote to a genetic virus that is getting closer to taking his son, even if it means collecting corpses in order to test his experiments. With the help of Gabriel, a servant she is growing dangerously attracted to, Rhine attempts to break free, in the limited time she has left. – North America is the only continent that exists. – A cure for bearing biologically and genetically unfit children was invented 70 years ago. It worked, and the First Generations, who are healthy, hearty 70-year-olds in the novel, were born. – But–whoopsie! All of the children of the First Generations, and their children, and their children, etc, die at 20 if they’re female, and 25 if they’re male due to one (uncured) disease. – Girls are frequently kidnapped and sold into polygamous marriages in order to maintain the Earth’s population. – Why are their no other continents? War? Disease? Natural disaster? Did North America just decide to bomb every other continent? I would have liked more information about this. – Why would everyone in the U.S. just up and accept to get a cure that genetically modifies their children? Or, more importantly, how? Due to the strong social, religious, ethical and economic variety of the American population, I have a hard time believing that every single American got that cure. Or was it mandated by the government? I don’t know. Destefano doesn’t say. – Think about all the diseases in this world. When has one killed every single one of its victims at the same time? Not to mention the fact that this specific disease kills women a whole 5 years before men, while it is a known fact that females generally live longer than males and get fewer diseases. – The Gatherers kidnap a slew of girls and sell them into polygamous marriages. If the girls aren’t sold right away, the Gatherers kill them. Why? Why do they kill womb-bearing females if girls are so precious, because they can procreate, that they are sold? – Rhine enjoys eating strawberries and other fruits. Where does this fruit come from? If the environment has shifted and Florida has snow, and no other, warmer, continents exist, where does all that fruit come from? What about all the other materials usually imported from other continents? I’m hoping that what Rhine knows about the rest of the world is just propaganda, and she will discover in the next book, Fever, that the rest of the world does, in fact, live. This would be completely understandable and an interesting plot twist. But there are no hints to indicate this in the first book. All right. Obviously Wither‘s world building was lacking. But I truly, honestly and utterly enjoyed Wither. I love the poetic, imagery-infused way that Destefano writes, and often found myself lost in her words. I love the characters. Rhine is a great heroine who had to choose so many times between luxury and freedom that I questioned the choices myself. Would you rather die in satin sheets, eating candy and being content, or scraped, bruised and muddied from escaping, in a place where you can barely afford food, with someone you love? The decision isn’t as easy as I first thought it to be. I equally enjoyed Rhine’s sister wives. There’s Jenna, the motherly, melancholy, exotic 19-year-old sister wife, and Cecilia, the naive teenager, whom I found more pitifully mislead than amusing, but I loved nonetheless. It was amazing how Destefano portrayed her characters. The bad guy, Rhine’s father-in-law, was only evil because he wanted to protect and cure his son (and how could that be evil? ), and Rhine, the main protagonist, isn’t all good either. The gray between the traditional moral black and white of society was honest and inspiring. I give Wither 3.5 stars. Enticing, unsettling and bold, with majorly awful world building. Pingback: Glow | What YA Reading? 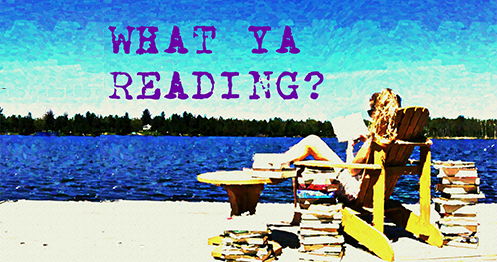 Pingback: Review of Divergent by Veronica Roth | What YA Reading?